Fundamentally, it’s all about money … and farms. 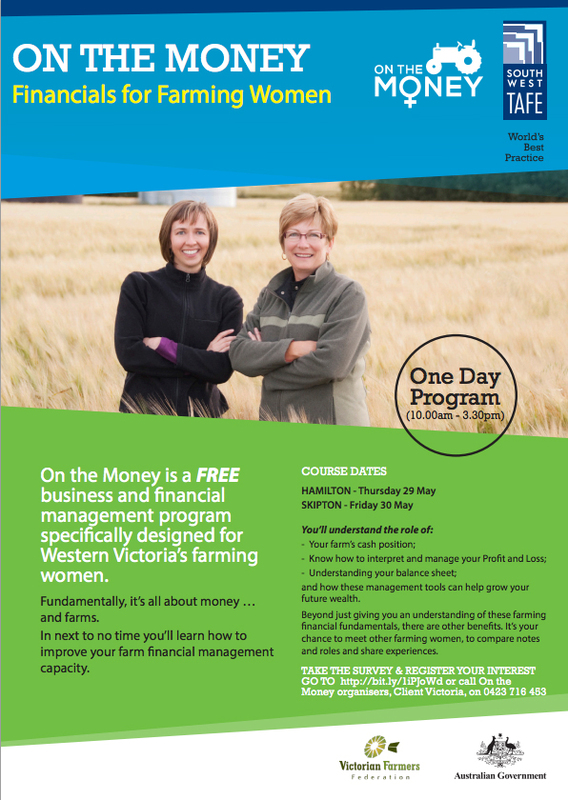 In next to no time you’ll learn how to improve your farm financial management capacity. and how these management tools can help grow your future wealth. Beyond just giving you an understanding of these farming financial fundamentals, there are other benefits. It’s your chance to meet other farming women, to compare notes and roles and share experiences.